Whether you want to stay a few nights in a cozy log cabin, own real estate unit, play a few rounds of golf, Thousand Hills Golf Resort has got you covered. Get to know the 5 reasons why you should choose to stay at Thousand Hills Golf Resort. The great location of Thousand Hills Golf Resort in Branson, Missouri is known far and wide as a leading vacation destination in the Midwest. 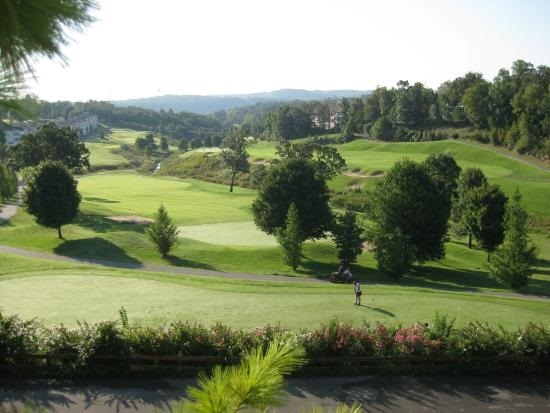 Thousand Hills condos are conveniently located around the award-winning 18-hole golf course. This popular Branson golf course was recently voted “Best of the Ozarks” by the readers of the Springfield News Leader and rated 4 stars in 2009 by Golf Digest Magazine. The resort features great amenities that can help make playing Branson golf easier. Travelers from around the country no longer head to the coasts of New York and Los Angeles to enjoy a variety of exciting activities and entertainment shows. In Branson, visitors always have the opportunity to see countless attractions: theaters, elaborate multimedia and music shows, theme parks, family entertainment, and endless opportunities of shopping and fine dining. If you want to spend a wonderful vacation in Branson, you can either choose to stay in a condo or log cabins all in the heart of town. The great location of the accommodation units offers the resort an advantage that only a few resorts in Branson can match its convenience and comfort. The great location of the condos and log cabins near the golf course is another good reason why many guests choose to stay at Thousand Hills Golf Resort. Golf enthusiasts who are staying at the resort will certainly enjoy the resort’s GPS equipped golf carts. Do some shopping at the pro shop in Branson offering shoes, shirts, equipment, golf gears, and gift items and souvenirs. A visit to the golf section of the resort, you will know why the award-winning 18-hole golf course is called the popular golf course in Branson. Voted as the Best of the Ozarks for two years in a row by the readers of Springfield News Leader and rated in 2009 4 stars by Golf Digest Magazine, Thousand Hills Golf Course was designed by Robert E. Cupp and Architect Michael Riley. This award-winning golf course has earned the title of being the most popular golf course in Branson. The whole course is beautifully maintained with Zoysia grass and offers every golfer a fun way to play. The great amenities that you can find at the resort is another reason why you should choose to stay at Thousand Hills Golf Resort. You can have the opportunity to use Yamaha carts with global positioning systems without paying extra. You can also buy all sorts of golfing equipment and accessories at the Pro Shop located next to the course. If you ever wonder why more and more people choose to stay at Thousand Hills Golf Resort, it’s because they have many reasons to prove it.